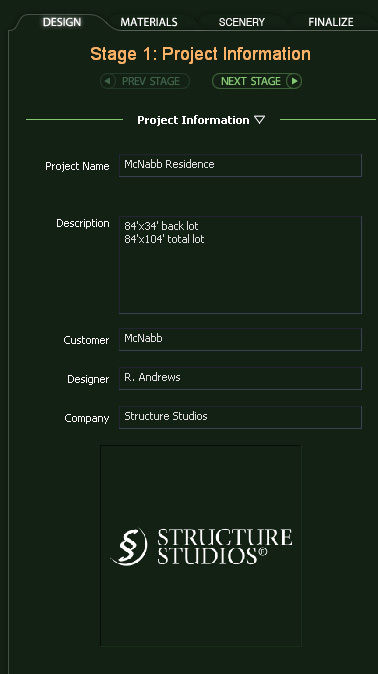 The first stage under the Design tab is Project Information. Complete the text fields in the Panel by single-clicking on the field with the left mouse button and then using the keyboard to enter text. This data will be used in the Presentation Mode.